This card can only be put on the next player. At the beginning of their turn, that player can discard a delay tool card that is on them. 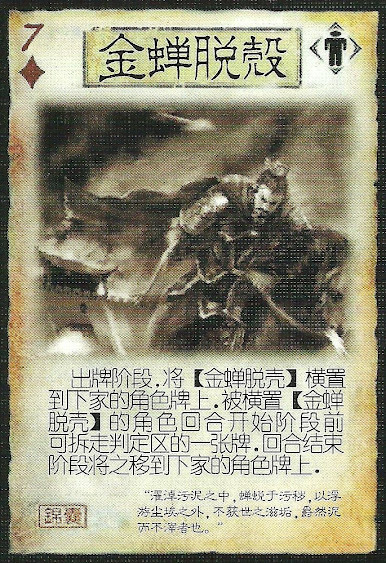 At the end of their turn, this card moves to the next player. This card can remove a card from a player even if that card does not require a judgment.